Which is not a bad thing to do over the summer break, all things, somewhat leisurely, considered. Especially if the yeast is also the stuff contained in a nice lager. Cheers, everyone. This review has in fact been sitting in the draft folder for nearly a year* – in a completely unplanned way, I seemed to have a lot of books about books, and they were all damn good, often better than the books they were about. The main post at the time was this, involving Clive James, amongst others. 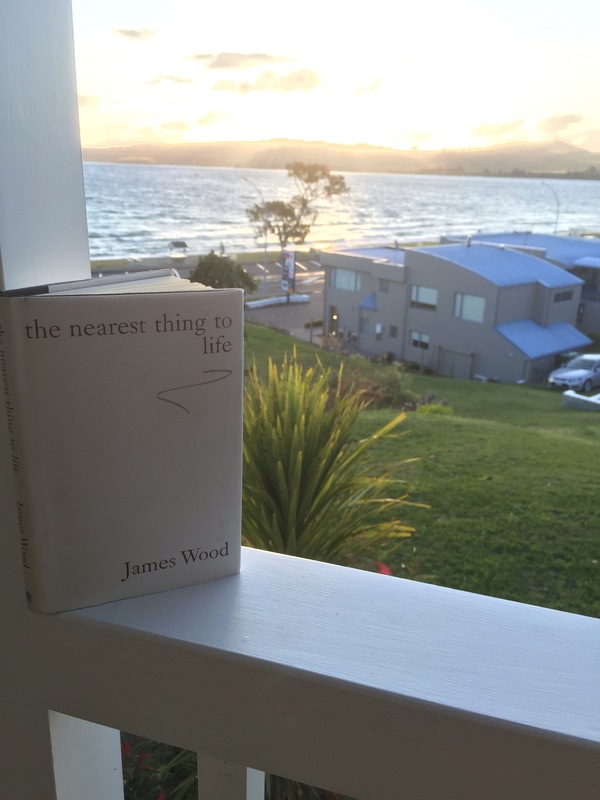 Wood is similarly analytical and, like James, in a determinedly non-theoretical style. He might though, in fact, refute the “analytical” tag: a lot of the criticism he most likes is ‘not especially analytical but is really a kind of passionate reader description’. That rang a ding of appreciative recognition with me: the basic question of ‘what’s it like?‘ can be over analysed, and certainly over-theorisied. ‘When Coleridge writes of Swift that he “had the soul of revelation but dwelling in a dry place”, or when Henry James says that Balzac became so devoted to his work that he became a kind of “Benedictine of the actual”; when Pritchard laments that Ford Maddox Ford never fell into that “determined stupor” out of which great artistic work comes – these writers are producing images that are qualitatively indistinguishable from the metaphors and similes in the so-called “creative” work. He muses that our life stories have no shape or more accurately nothing but its presence until ‘it has its ending; and then suddenly the whole trajectory is visible’. Julian Barnes has similar thoughts in some of his recent writing, prompted in his case by a funeral, and it takes the old brain down some channels of thought which move away from literature and onto religion, or at least questions of a ‘what’s it all mean??????! !’ nature. There is, Woods says, a struggle within a novel between present and past, instance and form, free will and determinism, secular expansion and religious contraction. The most important part of the book is the middle part entitled Serious Noticing , beginning with comments on the Chekhov story called “The Kiss” which focuses on just that, at length, and the different perspective two parties had on that kiss. Wood expands into writing about noticing: Chekhov, he says, ‘appears to notice everything’. Details in ‘The Kiss’ represent a point in that story where “form is outlived, cancelled, evaded. * A lot of these posts are first drafted at odd hours, when trying to get back to sleep after dealing with various family health things. There’s about 120 odd half/three-quarters written drafts in the folder. I suppose everyone needs a hobby. Posted on March 12, 2017 March 12, 2017 by Rob HoskingPosted in books, Litrachure, reading, Reads and Re-Reads, Recommendations, WritingTagged books, Clive James, James Wood, Joseph Conrad, literature, writing.